This week's meeting allows the consortium to assess progress of research conducted in 2011-12 and continue setting strategic directions for 2013-14. 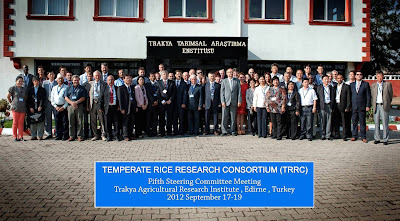 The program includes updates on TRRC activities, reports on working group research, and overview of the status of temperate rice research and industry in countries and regions beyond the current TRRC network. For the first time, the program includes a schedule for working groups to convene separately and discuss plans for research activities, cross-visits, greater interaction, and training. The groups are expected to come up with an outline of what they each intend to achieve in 2013-14. Russell Reinke, TRRC Coordinator, provides guidance towards development of new initiatives that will expand TRRC activities to other parts of Asia and other regions, such as Africa and Latin America. Edirne was chosen as the venue for the meeting, as half of Turkey’s rice production comes from this region. TTAE has had a long-standing collaboration with CG centers such as IRRI and CIMMYT, as well as with FAO, local research institutes, and private companies. TTAE Director Necmi Beser believes that many things can still be done to improve yield, quality, and production in temperate rice, and the most efficient way to accomplish this is by sharing scientific research through international partnerships. Evgeny Kharitonov, director of the All-Russian Rice Research Institute (ARRRI) and chair of this year's meeting, is happy to see a continuation of the novel strategies initiated in last year’s meeting held at his Institute. Achim Dobermann, IRRI deputy director general for research, and representative of the Global Rice Science Partnership (GRiSP), cited TRRC as a "wonderful example of scientific exchange of materials and technology where everybody can learn something from somebody else’s experience." 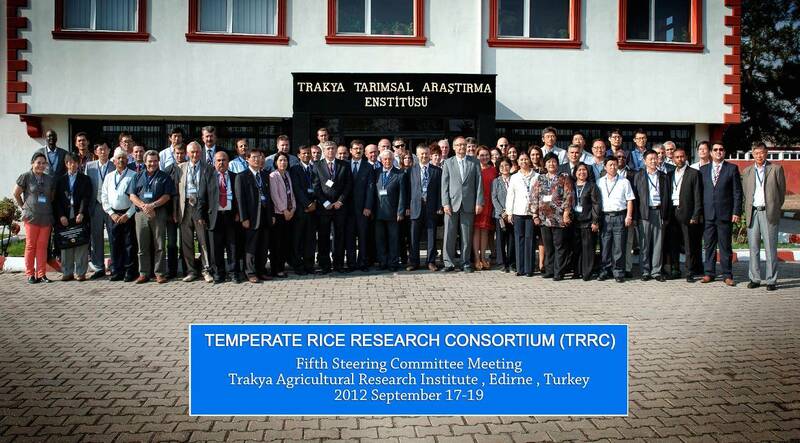 The TTAE-TRRC partnership has elicited strong support from the Turkish government, evident in the attendance of prominent officials—Necdet Bayirli, province director for Food, Agriculture, and Rural Affairs; and Ali Osman Sari, deputy director of the General Directorate of Agricultural Research and Policies.